Sirocco Restaurant, located in Lebua Hotel & Resort, on the corner of Charoen Krung and Silom roads near the venerable Chao Phraya River, is set regally below the renowned golden Dome at Lebua overlooking all of Bangkok, and is a must see for visitors to the historic city. The Sirocco restaurant is quite impressively done in white marble and gold with an entrance bridge to Breeze framed by an exquisite circular glass window that has become a popular photo backdrop for guests. At night the lighted gold dome of this iconic venue can be seen for miles, and is a beacon to visitors for fine food and a sophisticated atmosphere. Mezzaluna (65th floor) is the fine dining restaurant that serves modern innovative cuisine, and the Distil lounge serves many items not available anywhere else in Thailand; some included are Perrier-Jouet, Blason, Rose, Martell cognac, Royal Salute 100 whiskey and more. 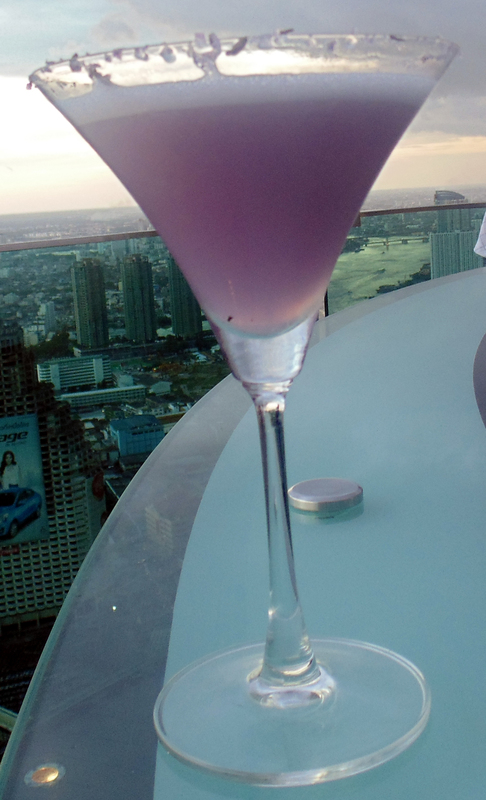 With a view from the top floor of the property visitors can enjoy a panoramic look of the entire city, which is possibly the best in Bangkok, and a stroll down the historic staircase to enjoy dinner or pre-dinner cocktails at the Sky Bar. The Lebua�s fine dining restaurant, and Distil Lounge on the 64th floor, are modern and offer buffet breakfast, lunch and high tea in the afternoon, as well as dinner, hors d�oeuvre and evening cocktails. Along with a bevy of excellent private suite options the Tower Club at Lebua showcases the Hangover II suite, where scenes from the movie of the same name were filmed. Private club floors offer free food service options, gym facilities and additional special services. On the first floor is a vibrant Indian restaurant and bar with a pool view. They also have a charming private lounge and dining area on the lobby level that is quiet and provides a fine meeting place for intimate tea or luncheon meetings. We had the pleasure of a private tour by Lebua staff members Khanut Bunnoioklub, Public Relations Manager, Ms. Nittaya Kwinkhuntod, Senior Hostess Manager, and Ms. Thanankorn Rattana-Asanarom, Associate Director of Sales. The Sky Bar is an amazing illuminated circular bar with a city view that seems to be a hot spot to enjoy a signature cocktail or mingle with friends and hear live jazz entertainment in the evening. 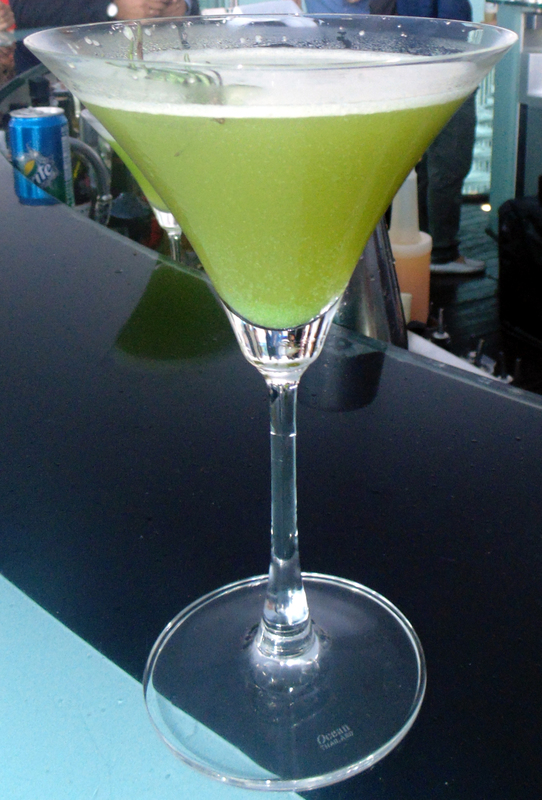 Signature cocktails at Sky Bar include the Hangovertini, created for the cast and crew of the Hangover Part II move which was shot extensively at the bars and restaurants of the hotel. Another favorite is the colorful Sky Spring, an earthy cocktail made with lavender, mangosteen and orange liquer finished with lavender mist. Jeju 16 Water was Launched at the GBK Productions EMMY & MTV Awards Celebrity Lounge in the L'Ermitage Hotel in Beverly Hills during pre-Emmy 2014 celebrations. www.gbkproductions.com. Jeju 16 Water was discovered on the island of Jeju, a unique volcanic island off the coast of South Korea. The secret to their great water product is Mt. Halla, an active volcano near the center of the landmass, is where rainwater is naturally funneled into the heart of the mountain. As rainwater collects in a mineral-rich caldera on Mt. Halla, it beings to pass through sixteen layers of porous volcanic bedrock, which naturally purifies 16 water without stripping away essential minerals. As the featured water product at the GBK Pre-Emmy Celebrity Lounge, celebs, VIPs and sponsors including Viola Davis, RJ Mitte, Kristin Bauer Van Straten, Dr. Paul Nassif, Gary Cole, Edie Falco and cast members from Emmy nominated shows such as Veep, Orange is the new Black and many more sampled the exciting new water product, and commented on the water�s smooth, crisp, and refreshing taste. Jeju 16 water will also be a featured product at the upcoming 2014 New York Fashion Week at the GBK Celebrity Lounge. 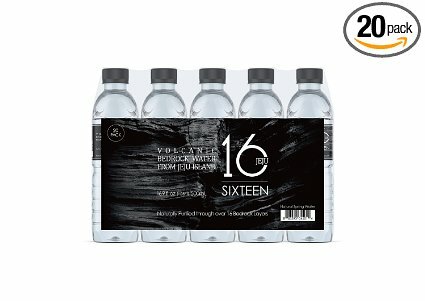 For more product information and where to buy the product please visit their website at www.sixteenwater.com/.